For most travelers, the route to Priest Station involves a long and winding path up Highway 120. Once they reach the top, they are relieved and ready for respite. This sentiment was shared by countless travelers during and after the Gold Rush. 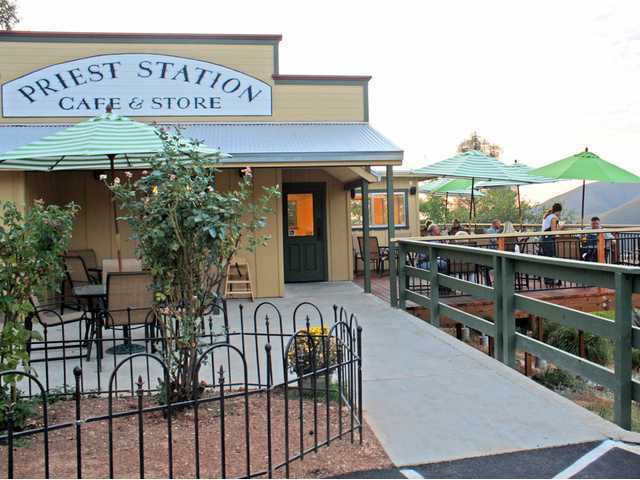 A way station since its inception, Priest Station is perched atop Priest Grade, a few miles west of Groveland and Big Oak Flat. It was established as a stage and wagon stop on the route to Yosemite. Fire doomed the hamlet to obscurity, but one southern Tuolumne County family hopes to restore some of its old glory. The Anker family has reopened Priest Station as a restaurant and store and will host a grand opening in early October. How neat. You should go and visit them ;) A family run place like that is sure to have the most delicious burgers. I should go visit. A disability travel writer owes it to her readers to check it out herself, right?